One of my favorite things to do while traveling is visit magnificent churches. I like it so much in fact, that I’m reluctant to travel to places that don’t have great religious buildings. Good religious architecture is one of life’s great pleasures. This baroque church is located in Seville. More than other utilitarian structures, houses of worship are overtly supposed to embody the values and faith of their creators; a great church shows that a community of people came together to glorify something they felt was important. I was recently reminded of how diverse great religious structures can be while reading this Atlantic Cities article on “13 Eye-Catching Houses of Worship.” Though I’m something of a traditionalist when it comes to religious architecture, the slide show demonstrates that new buildings can be as unique and inspiring in their own way as historic structures. Utah consistently ranks as one of the most religious states in the U.S. Salt Lake is one of the most religious big cities, and Provo is presumably even more so. And there are interesting examples of religious architecture, with the LDS Church’s Provo Temple and Provo Tabernacle standing out. 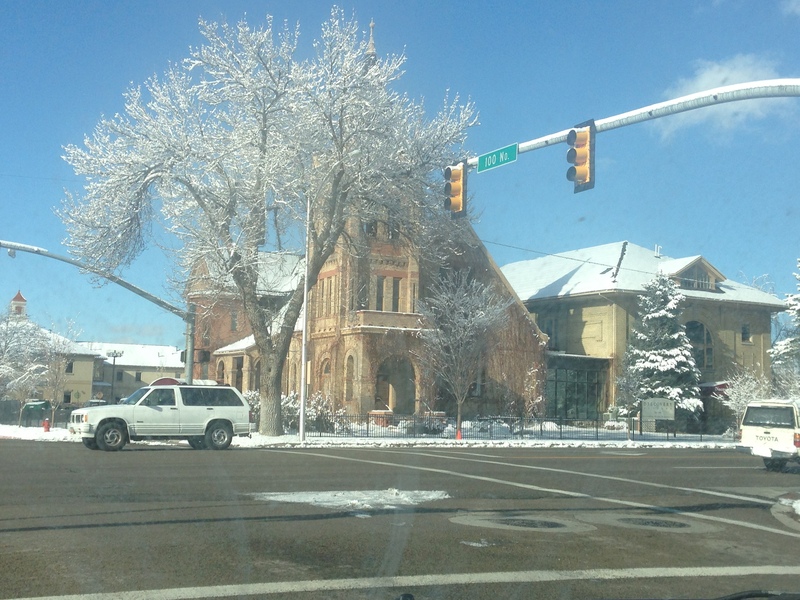 But a lot of the religious architecture in Provo is, frankly, awful. The new stake center on 900 East immediately comes to mind as a bland, cheaply built structure on a woefully designed piece of asphalt (in a place where congregants could and should walk to church). 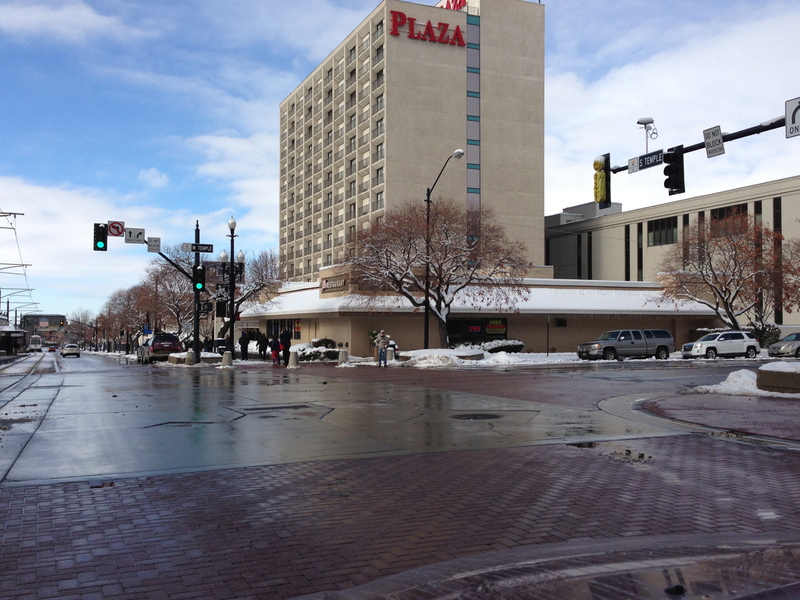 This sprawling structure was recently completed on 9th East and has numerous problems. Why, for example are there so few windows and therefore so little natural light? Why is it surrounded by a massive parking lot when it serves mostly young, able-bodied people who live within walking distance. Why is it just so ugly? Is this how we want treat our faith? South Provo and several churches. Four churchs are visible in the picture above, though they nearly blend in with the mall on the lower right. Significantly they’re all built with a cookie cutter design and are surrounded by enormous parking lots — again in a place where many people could theoretically walk to church. No one expects any organization to build only magnificent buildings; sometimes it’s just about whatever works. This chapel is notable for including the words “Holiness to the Lord” above the door. The phrase is more common on LDS temples. 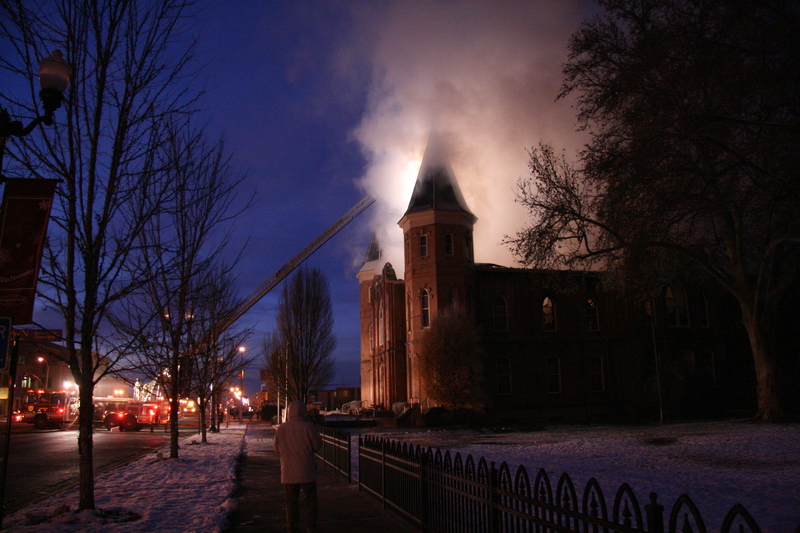 This building, which today is no longer a church, is located on 5th West in Provo. 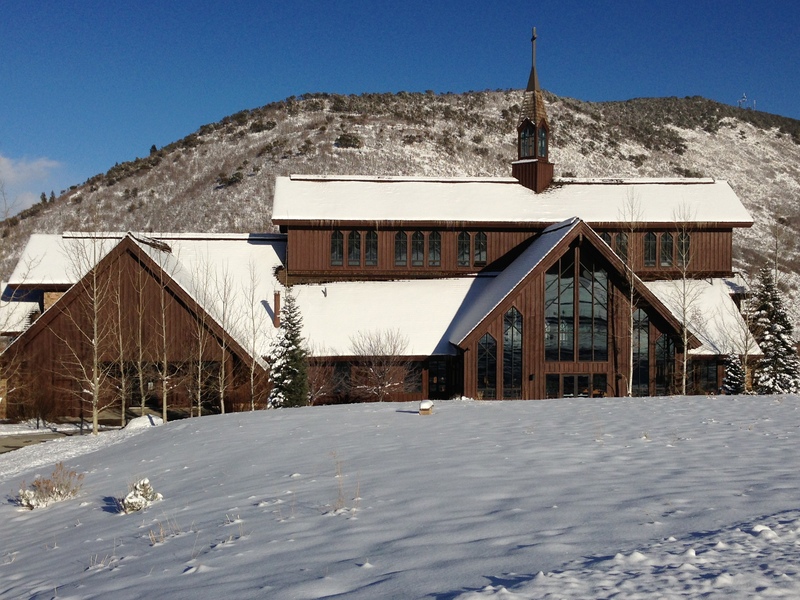 This modern Catholic Church is located in Park City. 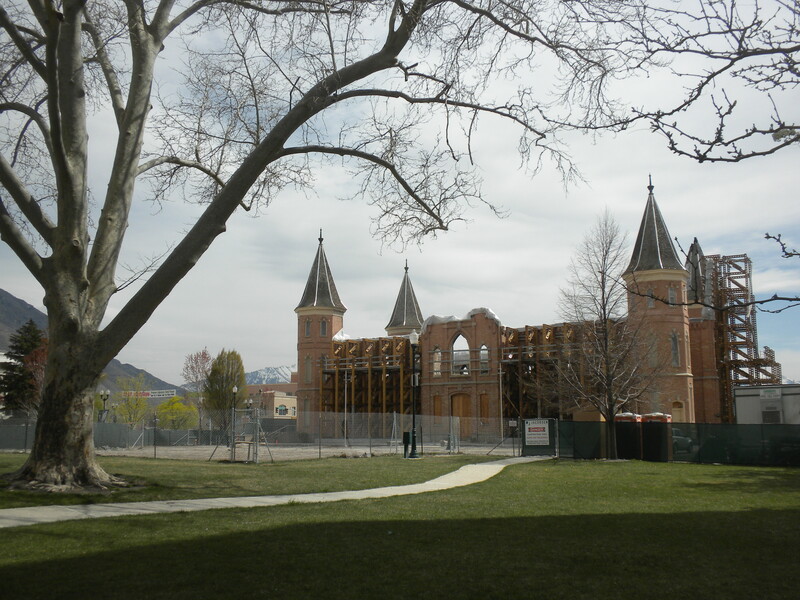 Unfortunately, Provo’s best example of Catholic architecture was pointlessly demolished several years ago. Sadly, there’s good reason to fear the future; the LDS Church is currently transforming the Ogden Temple — which was similar to the one in Provo — from a modernist building to a cookie cutter structure. 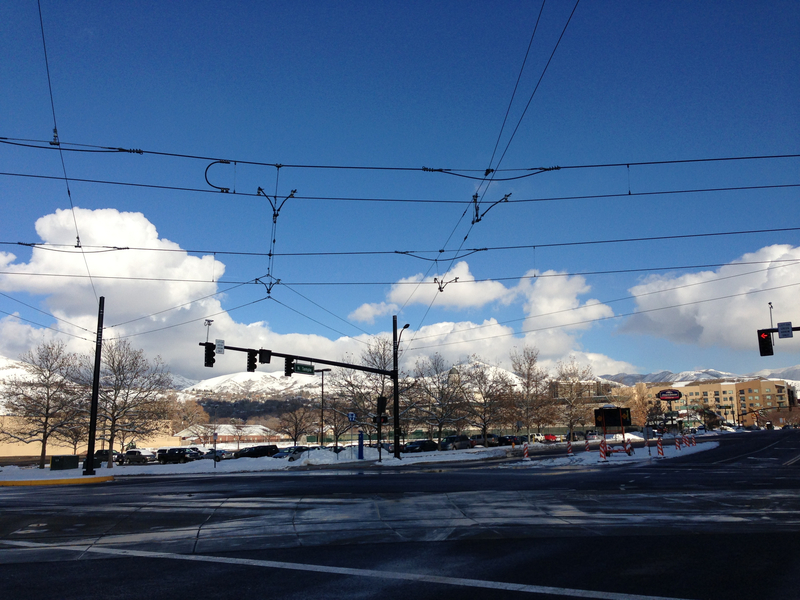 Hopefully a similar fate is not in store for Provo. 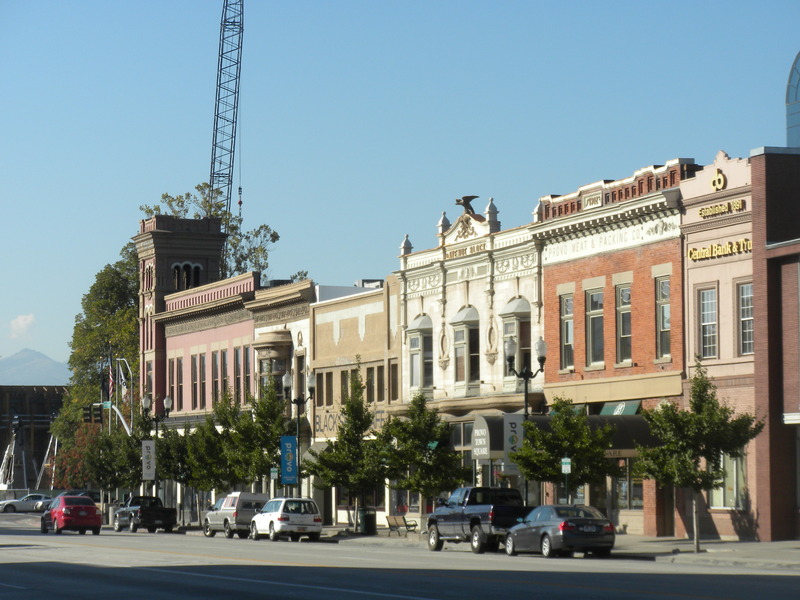 This building is located on the corner of 6th East and 1st North. This makes me sad. It was a unique-for-its-setting modern building; now its just another boring LDS-Church-plastic-style building. The building was actually built in 1964 as a seminary building for the now closed Farrer Junior High School. The seminary closed when Farrer became a middle school and that’s when the Family History people moved in. Farrer is completely gone now, replaced by the brand new Provo Peaks Elementary. Is this really all our faith means to us? Cheap, generic structures surrounded by seas of asphalt? Shouldn’t at least a few buildings be designed to make us think of God? Certain parts of select religious structures in Utah are designed to do just that. But spirituality isn’t a piecemeal thing and an utilitarian building with a pretty room isn’t the best we can do. Gaudi’s Sagrada Familia in Barcelona. 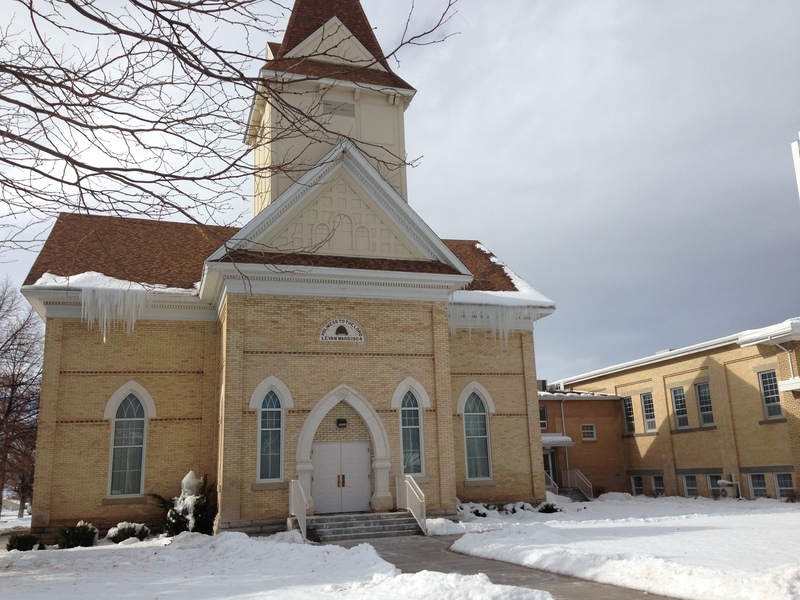 The decision ends a controversial process that at one point saw church leaders relying on religious grounds to encourage residents to fall in line. The story is literally unfolding as I write this, so keep checking the Daily Herald website for Genelle Pugmire’s more exhaustive piece. It should be up sometime later Friday afternoon. Mayor Curtis also blogged about the development Friday. In the meantime, it’s worth noting that this decision shows how compromise is possible and benefits everyone. Residents in the area — who have long opposed the building — should be happy about this development. But the church also benefits by revealing that it’s sensitive to local concerns. The LDS Church has cancelled plans to erect this structure at the Missionary Training Center in Provo. Back in April, I suggested that Provo could capitalize better on the LDS Church’s General Conference weekend. The idea is that tens of thousands of people come to Utah for conference and spend time and money in various Utah cities. Many of those visitors have, or could acquire, a connection to Provo, yet there is apparently no overt effort to entice them to the heart of Utah County. In the time since I wrote that post, nothing seems to have changed. 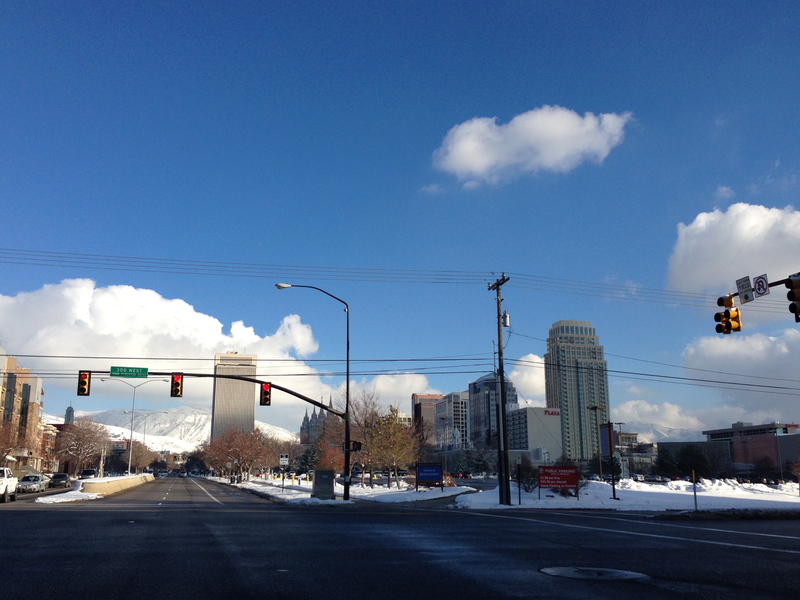 However, ABC 4 reported this weekend that Salt Lake City reaps major economic benefits from conference. The article reports that more than 100,000 people flood to Salt Lake City for conference, often spilling out into surrounding businesses. All five sessions fill up the 21,200-seat LDS Conference Center. Afterwards, people are hungry so they fill up local restaurants like the Blue Lemon right across the street. 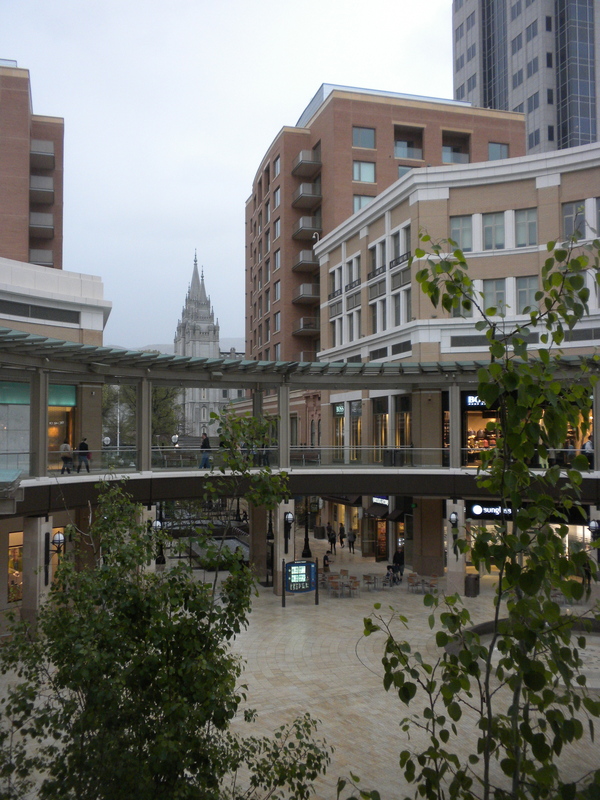 Provo may never see the kind of influx that Salt Lake experiences, but with a huge LDS population, BYU, ample assembly space, and many other resources, Provo could still see greater economic benefits from conference. Those benefits won’t materialize on their own, however, and until there is a concerted effort to draw more visitors the city is essentially throwing away money. Civic, cultural, and business leaders in Provo should give LDS General Conference attendees a reason to come to the city.